Does workers’ compensation reimburse me for mileage and other travel expenses? While most people know that injured workers are entitled to compensation for the cost of their medical care, many people don’t realize that mileage and other travel expenses can also be reimbursed under the state’s workers’ compensation law. Including these expenses as part of your workers’ compensation claim can help alleviate some of the financial strain associated with your injury and inability to work. Mileage: Workers who are injured on the job can receive mileage reimbursement for the cost of traveling between their home and any necessary doctor’s appointments or physical therapy appointments. Travel to a pharmacy to pick up prescriptions related to the injury is also reimbursable. Mileage is currently reimbursed at 40 cents per mile. Professional transportation services: If you have no other way to attend your necessary medical appointments, you may be entitled to reimbursement for the services of a medical transportation company. The insurer may arrange for such transportation at its own expense. In some cases, taxi service may also be reimbursable as a form of transportation to your necessary appointments. Parking: Parking is considered a reimbursable expense if it’s related to your need to seek medical treatment. Meals and lodging: If you are required to travel beyond your home city and will spend four hours or more on the road, you are allowed to recover the cost of your meals and lodging. However, reimbursement for meals is limited to a maximum of $30 per day. 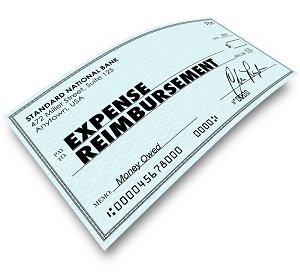 Reimbursement for travel expenses is available to anyone who is eligible to receive workers’ compensation benefits. This includes both full-time and part-time employees, as well as most temporary or seasonal workers regardless of the length of time they’ve been working for their current employer. Date and time of the trip. The places you visited for medical purposes. Your start and end mileage according to your vehicle’s odometer. If you purchased gas for your vehicle while traveling, save your receipts to support your mileage log claim. If you’re seeking reimbursement for meals and lodging, keep these receipts as well. You must submit your request for reimbursement within one year of the date the treatment took place. The workers’ compensation insurer has 15 days to provide reimbursement after you’ve submitted documentation of mileage, meals, and lodging. If the insurer doesn’t pay within this timeframe, it can be subject to a late penalty. When you’re injured and facing the stress of being unable to work, taking the time to document your travel expenses might seem like an unnecessary hassle. However, if you’re going to several doctors’ appointments each week or live usually far from your healthcare provider, these expenses can quickly add up. To protect your financial future, you need to do everything in your power to maximize your workers’ compensation benefits. If you’re struggling to receive payment for a work-related injury, hiring an attorney with experience in workers’ compensation claims will allow you to focus on your recovery without the hassle of dealing with the insurance company directly. The legal team at Rechtman & Spevak is committed to helping injured Georgia workers receive the compensation they need to move forward with their lives. Please call today to schedule a free, no-obligation case review. What Does “Catastrophic” Mean in a Workers’ Compensation Claim? Can the Workers’ Compensation Insurer Deny Surgery That My Doctor Ordered? Can I receive workers’ compensation benefits as a part-time employee? Georgia law requires all employers with three or more employees, including both full-time and part-time workers, to provide workers’ compensation coverage for on-the-job injuries. If you are injured on the job as a part-time employee, you will generally be eligible for workers’ compensation benefits. To be eligible for workers’ compensation benefits, you simply need to have been injured while performing job duties within the course and scope of your employment with an employer that has at least three employees. The number of hours you work per week or your length of time with your employer are irrelevant. Age is also not a factor, which means a teen who was injured on his part-time job would be able to receive workers’ compensation if he meets the other necessary eligibility criteria. Medical benefits pay for the cost of care related to your workplace injury, including emergency room care, surgery, hospital stays, physical therapy, and prescription medication. Temporary Total Disability (TTD) benefits are intended to replace lost income if you’re unable to work at all because of your injury. These benefits pay two-thirds of your average weekly wage prior to your accident and are subject to a 400-week maximum. Temporary Partial Disability (TPD) benefits are designed to replace lost income if you are under light duty restrictions and are working fewer hours or returned to work in a lower-paying position due to your injury. These benefits will pay you two-thirds of the difference between your previous wage and the amount you are earning working light duty. TPD benefits are payable up to 350 weeks following your accident. Permanent Partial Disability (PPD) benefits are payable after you are no longer receiving TTD or TPD benefits, and have been assigned a permanent partial impairment rating by your treating physician. You will receive a number of weeks at the same rate as TTD benefits, which is determined by the percentage loss of use of the specific body part that was injured. To figure out exactly how much money you will receive in permanent partial disability benefits, you can use our PPD calculator. Death benefits for workers who’ve been killed in on-the-job accidents include funds for burial expenses as well as payments to the worker’s spouse and dependent children. Georgia law specifically exempts farm employers from being required to provide workers’ compensation coverage. If you’re hurt as a seasonal farm worker, you can only receive workers’ compensation benefits if your employer has voluntarily opted to purchase this insurance coverage. If you are a seasonal employee working on a job site through a temporary employment service, the agency that placed you in the position must provide your workers’ compensation benefits. Businesses utilizing the services of a temp agency are not considered the employer of the injured worker for the purpose of processing a workers’ compensation claim. Georgia law doesn’t specifically bar undocumented workers from receiving workers’ compensation benefits if they have a legitimate on-the-job injury. Your immigration status is not relevant to your workers’ compensation claim, even if your employer was unaware that you were in the country illegally. Sometimes, unscrupulous employers will try to get out of paying workers’ compensation claims by classifying a part-time employee as an independent contractor. This distinction is extremely important, since independent contractors are not eligible for workers' compensation benefits. There are several factors used to distinguish between an independent contractor and an employee. Factors pointing towards a finding that a person is an independent contractor include, but are not limited to: the individual has the right to exercise control over the time, manner, and method of the work he is to perform; the person is paid by the job or per unit of work rather than by the hour or other unit of time; the individual furnishes his own tools and equipment; the person sets his own hours rather than the alleged employer setting the same; the alleged employer does not withhold taxes from money paid to the individual; and the alleged employer does not have the right to add work without adding additional pay. It is important to understand that no single one of these factors is absolutely determinative of whether an individual will be deemed to be an independent contractor or an employee. Instead, it is up to an administrative law judge to determine the relative weight to be given each of the factors in your case. If you feel that your employer is falsely claiming that you are an independent contractor in order to avoid paying you benefits, you should contact an attorney immediately for help regarding your claim. If you’re a part-time employee who believes you have been unfairly denied workers’ compensation benefits, it is in your best interests to consult an attorney as soon as possible. Please call Rechtman & Spevak to schedule a free, no-obligation consultation. How are my workers’ compensation weekly benefits calculated? If you’ve been injured on the job, knowing how much you can expect in workers’ compensation benefits can help alleviate some of your financial stress. If you are disabled from working following your accident, Georgia law provides that you are to be paid two-thirds of your average weekly wage up to a statutory maximum in TTD benefits. If your accident occurred on or after July 1, 2016, that maximum is $575 per week. For accidents prior to that date, please see this chart for the maximum TTD benefit rate that you can receive. Mark earns $15 per hour. Working 40 hours per week, his earnings before the accident were $600 per week. His workers’ compensation benefit would be $400. Jane earns $20 per hour or $800 per week. Her workers’ compensation benefits would be $533.33 per week. Bill earns $25 per hour or $1,000 per 40-hour work week. Two-thirds of his average weekly wage would be $667, but he would be limited to the maximum payout of $575 per week. Injured workers can collect temporary total disability benefits for up to 400 weeks. However, a worker with a claim that qualifies as a catastrophic injury may be eligible to receive lifetime benefits. Examples of catastrophic injuries include paralysis, severe brain injury, amputation, and blindness. If you are placed under restrictions by your treating physician, and you return to work in a light duty capacity, earning less money than you were prior to your injury, you may be entitled to payment of temporary partial disability benefits. The amount that you would be paid in TPD benefits is two-thirds of the difference between your average weekly wage and the amount you are earning working light duty. For accidents occurring on or after July 1, 2016, the maximum you can receive in TPD benefits is $383 per week. Please see this chart for the maximum rate for accident dates prior to July 1, 2016. Susan was making $600 a week at the time of her injury. She is now earning $400 per week. Her benefit amount is two-thirds of the $200 difference in salary, or $133.33. John was making $800 per week at the time of his injury, but now earns only $500 per week. His weekly benefit amount is two-thirds of the $300 difference in salary, or $200. Logan was earning $1,000 per week at the time of his injury, but now earns only $400 per week. Two-thirds of the difference in earnings in $400, so he’d receive the maximum possible benefit of $383 per week. Temporary partial disability benefits can be collected for up to 350 weeks. Your average weekly wage is determined by taking your average weekly gross pay over the 13 weeks preceding your accident. This will include your salary or hourly wage as well as any tips, allowances, and applicable bonuses. If you’re hurt on the job before you’ve been employed for 13 weeks, your benefits will be calculated using the average weekly earnings for an employee in a similar position. If there is no similar employee, then your "full-time" weekly wage is used as the average weekly wage. If you qualify, you can receive workers’ compensation benefits and Social Security payments at the same time. However, the income from your workers’ compensation benefits may cause your Social Security payments to be reduced. If you are experiencing difficulty obtaining workers’ compensation benefits, seeking legal assistance can ensure you receive everything you are entitled to including the maximum possible settlement on your claim. Call Rechtman & Spevak for a free, no-obligation case review. What Does Catastrophic Mean in a Workers’ Compensation Claim? The goal of workers' compensation payments is to alleviate the financial strain of being unable to work due to an employment-related injury. Ideally, the injured worker should be able to recover, then return to suitable employment in a timely fashion. But allowances are made for people with injuries designated as catastrophic. An employee sustained a severe brain or closed head injury. An employee has a spinal cord injury resulting in severe paralysis of the arm, leg, or trunk. The injury resulted in the amputation of an arm, a hand, a foot, or a leg. The injury resulted in second or third degree burns covering more than 25 percent of the body or third degree burns covering 5 percent or more of the worker's face or hands. The worker has a diagnosis of industrial or total blindness. The employee's injuries render him unable to perform his prior work, as well as any additional work available for which he is otherwise qualified. The last classification—"unable to perform his prior work, as well as any additional work available"—results in the most litigation due to the subjective nature of the statement. It is easy to determine if someone has had a limb amputated or lost their eyesight, but evaluating if someone is unable to work is more difficult. Temporary total disability benefits are payable for a maximum of 400 weeks from the date of the accident. Temporary partial disability benefits are payable for a maximum of 350 weeks from the date of the accident. Workers who are most seriously injured are considered to have catastrophic injuries. Georgia law allows these individuals lifetime medical treatment and indemnity (weekly income) benefits in addition to appropriate rehabilitation benefits. An employee with a catastrophic injury receives these services at no additional cost, and is required by law to utilize any rehabilitation benefits that are deemed appropriate to his case. 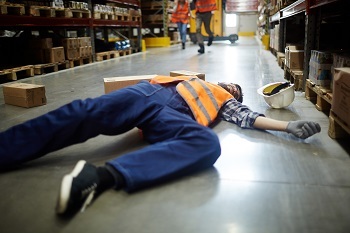 When determining whether a worker's injury should be classified as catastrophic, the burden of proof rests with the employee and his attorney. Therefore, having access to skilled legal representation is essential to the success of your case. Due to the high cost associated with catastrophic claims, workers' compensation insurers will do everything possible to avoid this designation. Please contact the legal team at Rechtman & Spevak for a free, no-obligation case review. If I was injured in a crash caused by municipal negligence, do I have any legal options? Car accidents happen all the time. In most cases, one driver makes a poor decision and causes a crash with another vehicle. In these incidents, if injuries occur, it is usually clear exactly who is responsible. However, what happens when an accident is caused by a condition on or near the roadway? Even in single-vehicle accidents, the driver may not be the one to blame. In some situations, municipal government negligence can lead to serious crashes, causing damage to property and inflicting injuries on drivers and passengers. Though these cases are more difficult to prove, victims do have legal options to pursue justice and obtain compensation against the government entity responsible for keeping up the road. Municipal negligence—as it applies to car crashes—is the notion that a city, state, township, or other government entity did not act with reasonable care in maintaining, marking, or designing roads. Just as drivers are expected to exercise caution and care for the safety of other drivers, municipalities are also expected to create and maintain roadways that are safe when used in the expected manner. The responsible government entity did not exercise reasonable care in its maintenance, marking, or design of the road. The responsible entity knew or should reasonably have known that the danger existed. Its inaction led directly to the accident and injury of the victim. In short, municipalities cannot be held accountable for poor weather conditions or situations they could not have known about to address. If a sinkhole appears in a roadway and causes an accident minutes later, the municipality cannot be held responsible. In that situation, it would have no way of knowing about the problem, and thus not have the ability to fix it or warn people of the danger in that time frame. 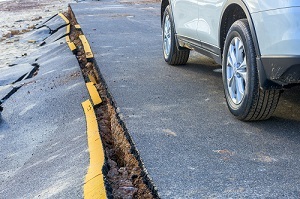 On the other hand, if a roadway has been eroding over time and many drivers complained about the hazardous conditions, the municipality may be held accountable if it did not complete a timely repair or post warnings to prepare drivers. It can be difficult to bring an injury lawsuit against a government entity. While the statute of limitations for filing a lawsuit on an injury claim in Georgia is two years from the date of accident, there is an additional requirement of having to provide notice of the claim to the government entity. Depending on whether the defendant is a city, county, or the state of Georgia, the notice period varies between six and twelve months. The form of the notice is regulated by statute, and if you fail to comply with all elements of the notice requirement, you may lose the right to maintain a lawsuit against the responsible party. Additionally, government entities are often protected by what is known as sovereign immunity. Sovereign immunity is meant to protect the government and its officials from constant litigation when constituents are unhappy with its operations. However, in some cases, negligence in maintaining, designing, or marking a roadway creates an exception to this rule. Similar to other personal injury cases, the victim of a potential municipal negligence case might be forced to defend his actions at the time of the accident. The courts may determine that the victim shares some amount of responsibility for the crash, and if that is the case, it could affect his or her ability to sue and receive a potential settlement or judgment. An experienced and skilled attorney can help victims understand the laws concerning municipal negligence, based on what type of government agency is responsible for their accident and injuries. If you are unsure as to whether your accident falls into this category, contact the experienced car accident attorneys at Rechtman & Spevak. Take a moment to fill out our online contact form, and you’ll receive a prompt response from a member of our team who can answer your questions and help you learn more about your rights. You may also call our Atlanta office at 888-522-7798. What Kind of Compensation Is Available After a Car Accident? What Compensation Can I Get for My Car Crash Claim? Who can be held liable if I’m hurt in a truck accident? In 2014, the most recent year for which statistics are available, approximately 132,000 people were injured in large truck and bus crashes in the United States. In Georgia alone, 144 people were killed in accidents involving large trucks that same year, according to the Federal Motor Carrier Safety Administration (FMCSA). With so many commercial vehicles on the road and their drivers under pressure to perform as quickly and efficiently as possible, truck accidents are an unfortunately common occurrence. For the victims injured in those crashes or the surviving families of those killed, the road to recovery can be long and frustrating. Victims are left to recover from their injuries or manage their grief while still trying to maintain the financial stability they enjoyed before the accident. This is often a difficult task, as injuries can prevent victims from working or the death of a loved one can leave the rest of the family without an income provider. The law, however, does allow victims to pursue justice and compensation from those responsible for the accident. In car crashes, it’s often simple to determine who is at fault—one driver made a choice that impacted another driver. In cases of commercial truck crashes, however, the situation can be much more complicated, with a number of parties playing a role in the operation of the vehicle. So, what can a victim do? Who can be held accountable for the accident? Who Is Responsible for a Truck Crash in Georgia? The driver. Just like the drivers of other vehicles on the road, commercial drivers have a responsibility to act safely on the road and follow all traffic laws. When a driver’s negligence and bad decisions lead to an accident, he can be held accountable for his actions. The trucking company. In general, businesses are responsible for the behavior of their employees while they are working. Additionally, it has been shown that shipping companies often place pressure on their drivers to deliver their goods and services as quickly as possible, sometimes encouraging their drivers to ignore federal regulations in order to do so. These practices are illegal, and the company can be held liable. The cargo company. Improperly loaded or unsecured cargo is often a factor in truck crashes. If the cargo shifts during transit, it can make the large vehicle unstable and difficult to control even in good weather and on well-maintained roads. Truck manufacturers. If the design or production of a truck does not meet safety standards, the company that produced the defective part can be held liable. Bad tires or braking systems are common causes of truck accidents. While commercial vehicles can overcome some issues, sometimes even minor problems can be exaggerated due to the large weight and height of the trucks. It is possible that more than one party holds some responsibility for the accident. How is a victim to know who should be held accountable? A skilled attorney can help victims examine the details of their case and decide how best to move forward. Experienced injury attorneys have pursued these claims in the past, and they understand what is necessary to mount a successful case. In truck accident cases, this is especially important. In some cases, the responsible parties will try to shift blame onto others, sometimes even including the victim. As a general rule, companies are responsible for the behavior of employees, but not those whom they hire as independent contractors. Additionally, the company can only be held liable if the employee was operating within the scope of the job and if the act was not intentionally done against a specific person. So, determining and proving the relationship between the trucking company and the driver can be critical. The other parties may also try to point fingers: the manufacturer blames the driver for lack of maintenance, or the cargo company claims the trucking company affected the way the cargo was secured. Sorting through every version of events can be time consuming and frustrating. Finally, the state of Georgia follows the rules of comparative negligence. In short, if the courts determine that the victim holds some degree of accountability for the accident, it could affect any settlement or judgment awarded. All these factors will determine just who can and should be held responsible for an accident and for the injuries of the victim. At Rechtman & Spevak, we’ve worked with accident victims to successfully pursue justice and fair compensation for their injuries, and we may be able to help if you or someone you love has been hurt in a truck accident. Call our truck accident lawyers at 888-522-7798 to learn more about your rights and schedule a free, no-obligation consultation today. Is it Okay to Talk to an Insurance Company After an Accident? Is it okay to talk to an insurance company after my car accident? Shortly after an accident, your phone may start ringing. The insurance company who covers the other person involved in your accident will likely contact you seeking all sorts of information. An important fact to remember when this happens is that the insurance adjuster is not working for you. Even if you are an honest, fair person and you feel you have a solid claim, the adjuster is out to protect the interests of the insurance company and minimize any money they might have to pay. He may seem friendly and understanding on the phone, but he will certainly use any information he is able to learn from you to his company’s advantage if possible. Sometimes, it is difficult to avoid these calls. If you find yourself on the other end of the line with the opposing insurance adjuster, follow these helpful tips to protect your rights and preserve your claim. Discuss your medical care. Do not elaborate on your injuries. It is possible that you will not fully understand the nature of your injuries until later, so do not offer details that could hurt your case in the future. If pressed, tell the adjuster you simply do not know the full nature of your injuries and that you are seeking medical treatment. Give details of the accident. The adjuster can find the basic information from police reports or his own insured driver. Do not offer your version of events to the adjuster at this time. Sign anything. Never sign anything, no matter what the adjuster says. This applies to a medical release as well as documents related to fault. If you sign a medical release, the insurance company will have free reign to examine the full scope of your medical history, and may try to use your past medical records against you. Be polite. You may be feeling angry about the accident or suffering from the physical consequences of the crash, but taking your frustration out on an insurance company representative will not help. The adjuster will play a role in your case, so it is best to stay on civil terms. Remain vague. Offer the adjuster only basic information, such as your name, address, and birthdate. You may share the minimum details about the accident. Where it occurred, what day and time, and what vehicle you were driving. Identify the person to whom you are speaking. Take note of the date and time of the call, the name of the insurance company, the name of the representative, and how to contact him if necessary. Make sure to keep your notes. Tell the adjuster to contact your attorney if further information is necessary. It is a good idea to only talk to insurance companies in the presence of an experienced accident attorney. The attorney can help you understand what information can and should be shared and when. In some cases, such as in accidents where the at-fault driver is uninsured, the victim may have to pursue a claim with his own insurance company. Victims are required to cooperate more fully with their own companies, so you may have to offer more information to the adjuster in those situations. A skilled attorney can help victims understand their rights and obligations and make decisions on how best to move forward. If you or someone you love has suffered injuries in an auto accident, you may be entitled to compensation. Take a moment to fill out our online contact form, and a member of the car accident attorneys at Rechtman & Spevak will help you learn more about how to proceed after an accident. Do I Need To See A Doctor After An Accident? Every state sets different rules about car insurance—rules about fault, minimum insurance limits, and penalties for failure to comply with the laws. The state of Georgia is no different. Drivers are required to carry insurance to cover any property damage or personal injury that may occur in a car accident. Georgia is a fault state, meaning that blame is assigned after an accident and the party responsible for the crash must pay for the damage. Auto insurance covers these costs, up to a certain limit. Bodily injury liability: $25,000 per person. $50,000 for multiple people in an accident. Property damage liability: $25,000 for one incident. Bodily injury liability covers the injuries suffered by a person in an accident. It could cover medical expenses, lost income, as well as pain and suffering. Property damage liability provides compensation for the damage done to another person’s property, such as a car, bicycle, mailbox, home, and more. These amounts are the minimum amounts required by Georgia law, though many drivers elect to purchase larger policies in order to further protect themselves from the possibility of personal financial responsibility in the case of a serious accident. 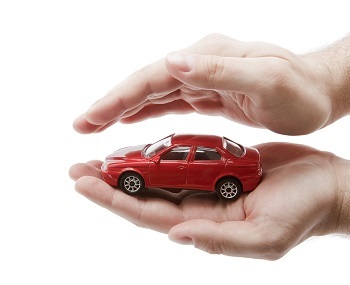 Drivers who fail to secure the appropriate levels of insurance can be penalized. Uninsured motorists are subject to fines, the loss of driving privileges, and the revocation of vehicle registration. Driving an unregistered vehicle is a misdemeanor in Georgia. Medical payments. This coverage can provide payment for medical expenses due to injuries as a result of an accident. Collision. Collision coverage can pay for the replacement or repairs to a vehicle after a crash. Comprehensive insurance. This coverage offers protection from damages or losses not related to road accidents, such as theft or weather damage. Uninsured and underinsured motorist insurance. If a driver with no insurance or not enough insurance is at fault for an accident, this coverage can cover the expenses related to the accident. If you or someone you love has been injured in a car accident, you may be entitled to compensation, even if the driver responsible doesn’t have auto insurance. Call the experienced car accident attorneys at Rechtman & Spevak at 888-522-7798 to learn more about your options and find out what we can do to help, and download our FREE book, The Ultimate Guide to Accident Cases in Georgia.